Chalo! FreshCo. - Segovia Advertising & Design Inc.
Sobeys is made its first foray into South Asian grocery stores in 2015. 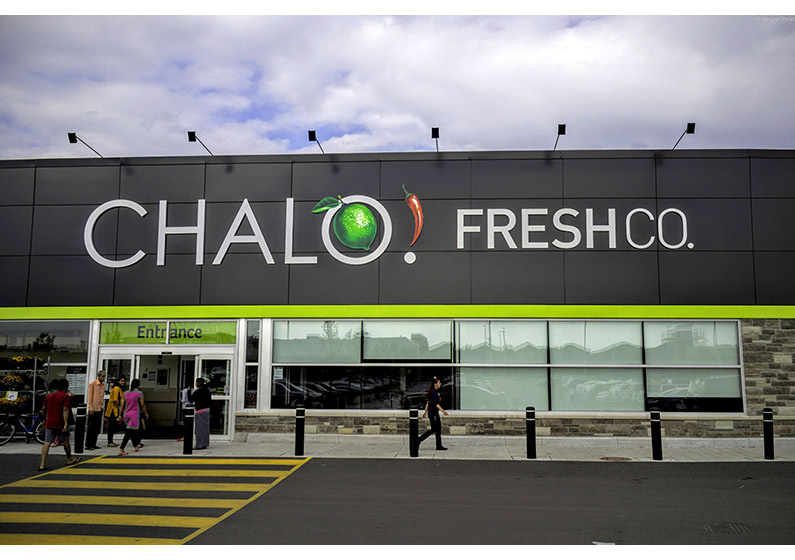 The company opened a South Asian-focused discount supermarket called Chalo! FreshCo. in Brampton, Ont. Barrett and Welsh called upon Segovia A&D’s role for: Brand Identity final production and build, Illustration and a Brand Style guide. A unique challenge in building out this brand mark was the requirement to create pure vector artwork. The logo had to be scalable for the storefront signage. This meant that the photographic look of the fruit had to be created in Adobe Illustrator as vector illustration. 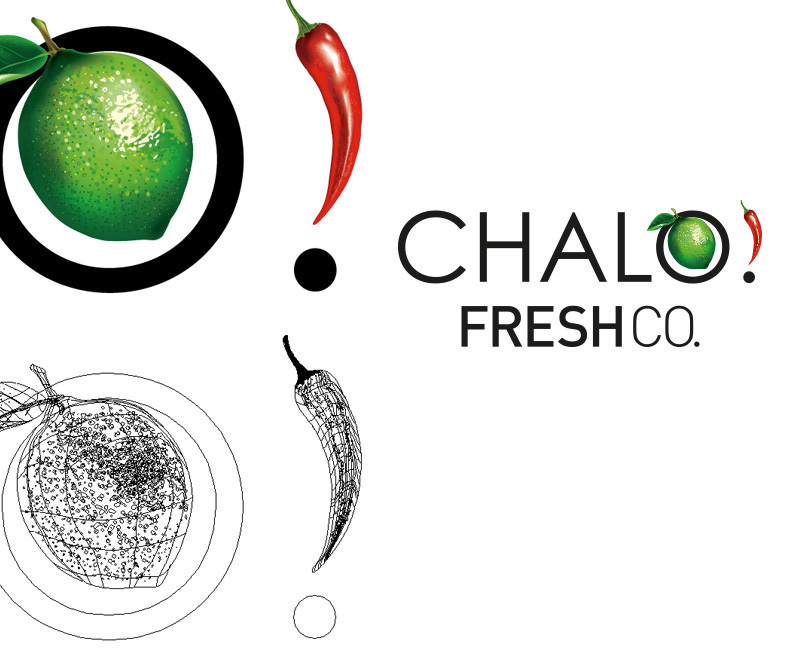 This screen shot shows the lime (and the other produce: mango, onion and red pepper) were all built using purely Illustrator techniques. The result – final artwork that can be reproduced at any scale with out loss of quality. The Brand signature system was brought to life using bold colour palettes, graphical devices and pattern work. 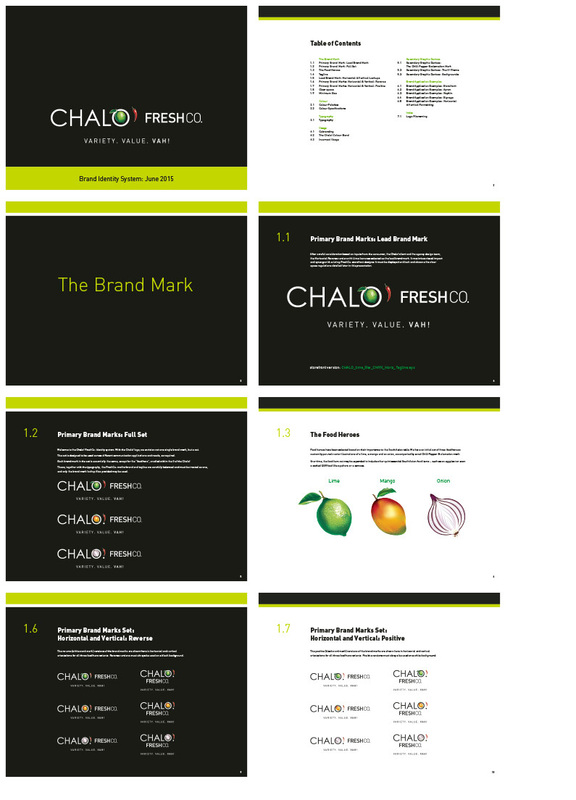 A brand style guide demonstrated how the brand would expand out.